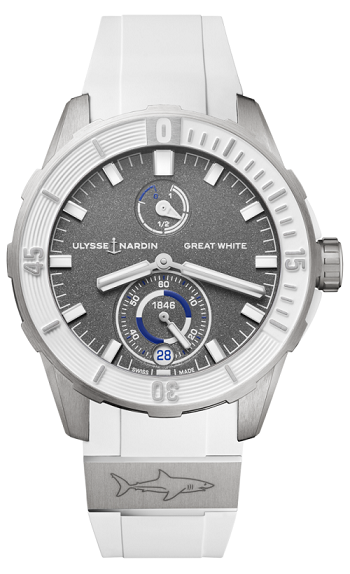 Titanium, 44mm case, grey color textured dial, automatic movement, with date, and 60 hour power reserve indicator. The titanium case back is engraved with an image of a Great White Shark. Available on s sporty white color rubber strap, with titanium pin buckle. PRICE $8900. To purchase this watch CALL US 956.687.2981.